Welcome, to Take Control Driving School. Take Control Driving School is owned and run by Jo who is an Approved Driving Instructor with DSA in Thatcham, Berkshire who offers a range of affordable driving lessons in Thatcham & Newbury and the surrounding areas. Jo is a female driving instructor who has 20 years driving experience and has been a qualified driving instructor since december 2009. 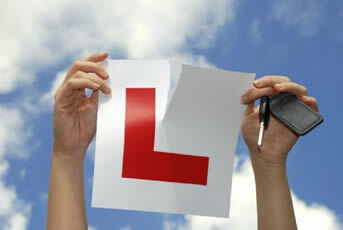 Your Safety, before and after, is very important to Take Control Driving School so I will ensure that you are a safe driver utilising Coaching techniques, to allow you to become a safe driver. Take Control Driving School’s aim is to coach you to a standard that exceeds that which is required for a DSA driving test and have an excellent pass rate which is testimony to this. I teach in a structured manner, and each pupil receives structured lessons delivered on a one to one basis. So you will not have to waste part of your lesson taking another person home. We appreciate that learning to drive is a commitment from a time and financial point of view, so we always do our utmost to get each pupil to a safe standard as quickly as is possible for their learning abilities.